I just typed underwear. Oops, there I did it again. Sorry about all of it. But, it’s been on my mind. Well, not underwear specifically, but the concept of wearing clean ones. One of my mom friends (is it weird I call them “mom friends”?) and her uber-creative daughter came up with a survey for all of our babies turning eight. I thought it would be fun to do a live q&a session to cherish forever and ever. For the record, we did a dry run but realized it was too dark. You.are.seven. (well, almost) Yet, last night I was thrilled (albeit slightly panicked that you fell asleep on your own at eight o’clock) that I was able to carry you to your bed. I laid your head gently on your pillow and pulled your covers up near your soft cheeks and immediately went back in time. I’ve always loved putting you to bed. Those few minutes are the most special each day, to me. We pray together (most of the time you will but sometimes you ask me to pinch hit) and thank God for moms and dads and grandmas and grandpas (yes, we are thankful for the rest of our family too … we’re just hitting the highlights). Then, we kiss and I tell you I love you. And, within minutes, you’ll be sound asleep. Well, now you weigh just over sixty pounds (last week you were ecstatic to hit sixty-one after many, many months at sixty). It isn’t as easy for me to carry you from the couch into your bed, but that almost never happens unless you’re opting to be lazy. That sometimes happens. And we measured your height tonight and although not terribly scientific, you stood at just over fifty inches tall. You are my fairly tall, skinny (yet still compact and strong) boy. Do you remember being one? These new stats are a far cry from that first year. You’ve accomplished so much in the past year. 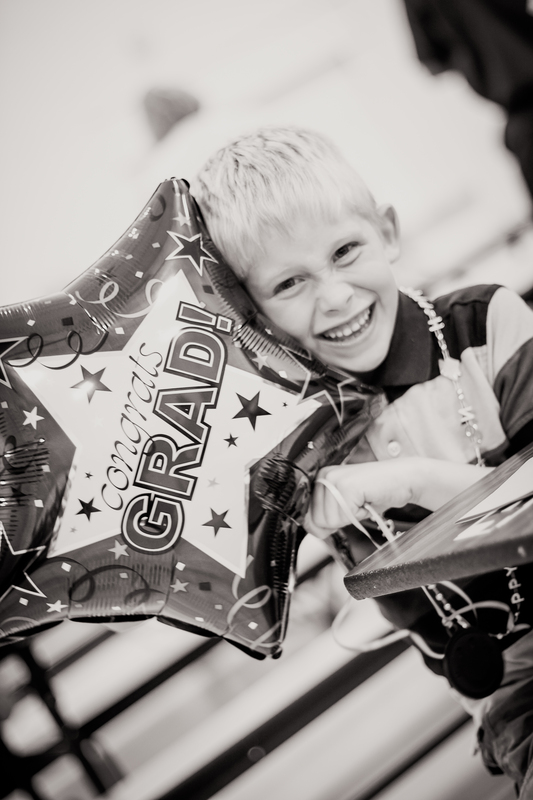 You completed your first full year of all-day school when you graduated from kindergarten. 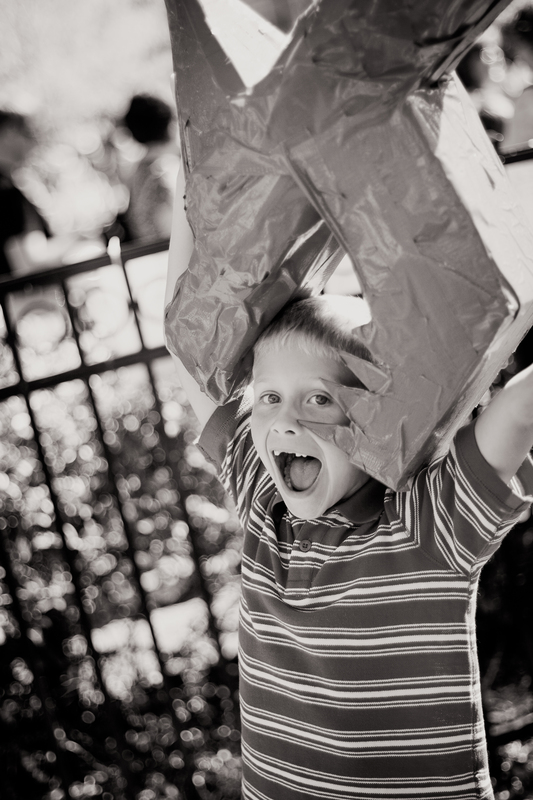 You received high praise from your teacher and you’ve continued to do so as you’ve transitioned into first grade. You love Mrs. Modreske and think she’s the “nicest teacher ever”. Last month, you were awarded Student of the Month and it was awesome for mommy to hear about your eagerness to learn and to race your friends to answer challenge questions. When we finished kindergarten, you weren’t all that interested in reading, but you loved math. Now, you’re doing really well with reading, writing and the numbers still come easily (you can even do some complex problems that leave mouths hanging open). Yet, last time we talked you wanted to be an artist. So, there’s that. You’re a very, very bright boy and I’m so very proud of the fact that you not only have classroom know-how but also street smarts. Your dad would swear you don’t get that from me. There was lots and lots of fun this past year as well. You had some amazing field trips at school; visiting the zoo, the apple orchard, a stage performance and the museum. You have your school buddies, too. You’re especially tight with Nolan. In my opinion, you’re full on BFFs. You’ve had a few playdates with him (and one with your buddy, Micah) and you had your very first sleepover with Nolan last weekend. There were also family trips to Florida, Great Wolf Lodge, the beach, the Air Zoo, a couple local museums, ArtPrize and to visit our other extended ‘family’ in Detroit when we went to LegoFest. Speaking of Legos, your obsession began with the Ninjago series. As a matter of fact, your sixth birthday cake was Ninjago-themed. When you started first grade, though, your focus flipped to Star Wars. You haven’t looked back since. You have several sets now and I’ll tell you a little story when you’re older about how some of those came about. Hint: Santa had me working very hard this year. In addition to the Lego series, you are also a huge fan of the entire Star Wars series. You have action figures, movies, puzzles, books, clothes, etc. And, to be completely honest, it’s been really hard for me to keep up with your extensive knowledge. It amazes me what you’ve learned in the last few months and I love your extended stories about the various pieces of the complete saga. You like competition, too. Well, I should say you still like competition but now, it seems like winning and losing is more of a concrete concept. 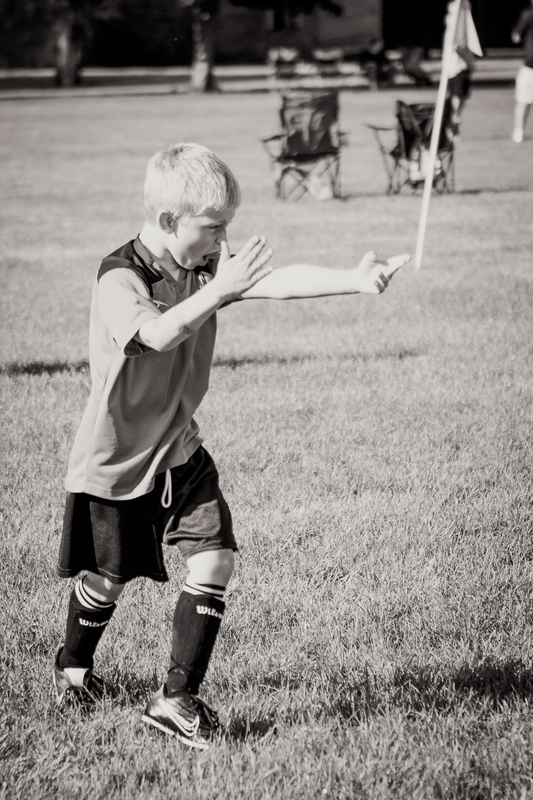 You’re becoming a wicked-awesome soccer player and you also continue to grow as a t-ball/baseball player. You just started indoor basketball in January as well. I’m curious to see what you’ll decide you love doing as you grow. Without a doubt, though, you put your heart and soul into your game. You take it very seriously and you do not like.to.lose. This also applies to Uno and Guess Who and Death Star Jenga. Admittedly, I let you win sometimes, but I let you lose, too. It’s a good lesson for life. Ah, life lessons. I don’t want to get too teary as I write so I’ll keep it brief here but this year was hard. On all of us. For the first time, I wasn’t able to tuck you in every night and there isn’t a way to adequately describe how difficult that is for your mom but I take solace in the fact that you are being tucked in whether you’re home with me or home with your dad. You’ve had to grow up a lot this year, but again, I am so proud of the person (young man?!) you’re becoming. For instance, when you were diagnosed with Celiac Disease back in October, you were upset (briefly) and then you just … learned to deal. I can’t tell you how much that helped me because I was devastated for you. No more Reese’s Puffs? Tragic. But you’ve learned to love Cinnamon Chex. Sometimes, sacrifice is exactly what’s necessary to become healthy. As much as a parent is supposed to teach their child, I feel like it’s you that’s teaching me. And I feel so lucky. This picture (from ArtPrize) feels like such an accurate reflection of who you are. Right now. You are silly and fun and spontaneous and adorable and your smile lights up a room. Please, please hold on to those traits. Just remember to always use them for good. I thank God for you, my dear, sweet Valentine. You give me reason to celebrate. Now that Connor’s entered the great big world of first grade, he’s starting to learn a bit more about life as a student. It can’t be all fun-and-games kindergarten forever, kiddo!